MWI’s next open enrollment Divorce Mediation Training Program is taking place on October 18-20, 2019, in Boston. This comprehensive twenty-four hour divorce mediation training is designed to provide participants with the knowledge and skills to become effective divorce mediators through demonstrations, presentations, written materials, and role-plays. Click here to see additional dates and times. MWI’s next small group divorce mediation training and practicum will take during June of 2019. Contact Josh at 617-895-4028 to learn about a small group training and practicum. 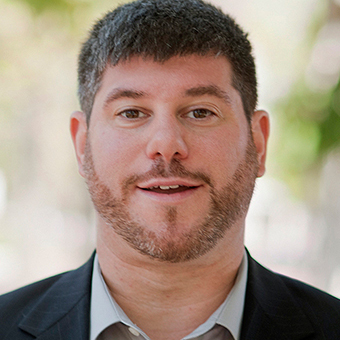 Josh Hoch is a mediator, instructor, and is Director of Mediation Services at MWI. A mediator since 1996, Josh mediates family, divorce, parenting, child support, never married parents, and housing cases. In addition to his mediation work, Josh is also a member of MWI’s training faculty and leads advanced mediation training programs in areas of divorce and housing/eviction. As Director of Mediation Services at MWI, Josh manages mediations and arbitrations in the areas of family law, consumer automotive, real estate, land use, and construction. Additionally, Josh coordinates monthly workshops for parents seeking divorce and serves as a mentor to mediators looking to expand their practice to include divorce mediation. Josh is a member of the Association of Family and Conciliation Courts (AFCC), and served on the Board of Directors of the Massachusetts Chapter of AFCC for seven years. Josh has been featured in the Boston Globe and on the award-winning New England newsmagazine television show “Chronicle” where he provided information about marriage, divorce, and the use of divorce and family mediation in Massachusetts. To schedule a consultation with Josh at MWI, 10 Liberty Square – 4th Floor, Boston – click here. To read client testimonials, click here. Nnena Odim is a mediator, trainer, attorney, and consultant. She has been mediating since 1997 and has mediated disputes involving issues such as employment, housing, business, consumer, and specializes in mediating the full range of family/domestic relations (elder care, adoption, care and protection, CHINS, divorce, grandparent visitation, and LGBTQ issues, etc.). Nnena also designed and/or led numerous conflict management trainings for several local and national businesses and agencies, including Coca Cola Enterprises, the Boston Public Schools, and the Massachusetts Housing Authority. 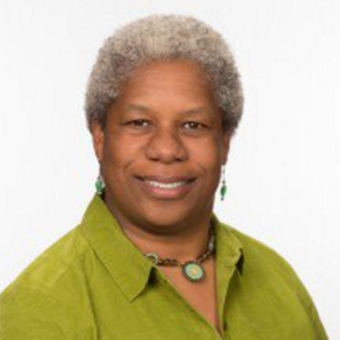 In addition to her mediation and conflict resolution training background, Nnena is the Director and Senior Clinical Instructor of the Family/Domestic Violence Law Clinic at The Legal Services Center of Harvard Law School. She provides experiential training to law students as she teaches them how to become effective and ethical attorneys. Nnena has also worked with the Harvard Mediation Program and Harvard Program on Negotiation to provide trainings for students and various community members and to supervise Harvard Law School students in their mediation and negotiation studies. Nnena has mediated personal, academic, and administrative issues between students and faculty in higher education settings and served as a coach of mediation skills for trainings at MIT, Suffolk and Boston College Law Schools, and New England School of Law. In 2013, Nnena was a Top Women in the Law award recipient from Mass. Lawyers Weekly. In 2015, she received the Harvard Law School Dean’s Award for Excellence. 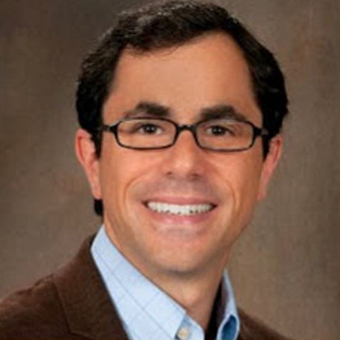 Ben Stich is a family and divorce mediator with MWI. He mediates conflicts of all kinds, specializing in family disputes. He mediates divorce, co-parenting conflict, parent-teen disputes, marital issues, and elder decisions. Ben also helps families resolve conflicts as an instructor for the state’s only High Conflict Parent Education program at William James College. In addition to mediating, Ben is Director of Certification for Think:Kids, a division of MGH’s Department of Psychiatry. Ben trains and coaches a wide range of individuals and organizations in the Collaborative Problem Solving (CPS) model, an approach to understanding and working with children and teenagers with challenging behaviors. Ben is a licensed independent clinical social worker, and directed an adolescent residential treatment program for eight years, and counseled students in a local high school for over six years. 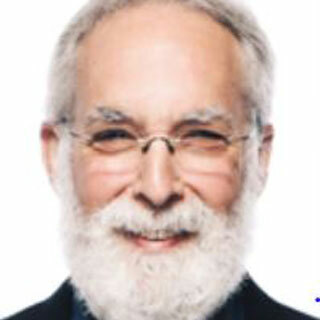 William Levine is a principal with Levine Dispute Resolution Center LCC (LDRC) in Westwood and Northampton, MA, where he provides services as a mediator, conciliator, arbitrator and special master. For the 27 years before LDRC, he served as a partner in a premier family law “boutique” law firm, long known as Lee & Levine LLP. He handled then, and handles now, financially and emotionally complex divorce, custody and other family related cases. He writes articles and blogs regularly, has taught many law school and continuing legal education classes on the topics of mediation and arbitration and he has co-written continuing legal education book chapters. Bill is a fellow of the American Academy of Matrimonial Lawyers, a founding fellow and Advanced Mediator of the Academy of Professional Family Mediators, a member and Certified Mediator of the Massachusetts Council on Family Mediation, a member of the Association of Family and Conciliation Courts, and the Massachusetts Probate and Family Inns of Court. He has achieved recognitions including: AAML- MA President’s Award; Best Lawyers In America-Lawyer of the Year in Family Mediation 2015; Boston Magazine “Best Lawyers”; Worth Magazine Top 100 Lawyers in the U.S. (personal services) and Super Lawyers (Massachusetts and New England). Mediation, arbitration, and other neutral services in family law, probate, elder, small business and other matters. Massachusetts Probate and Family Inns of Court. Attended and taught many law school and continuing legal education classes (including mediation and arbitration). Wrote and co-wrote articles and continuing legal education book chapters; and involved in organizational work. 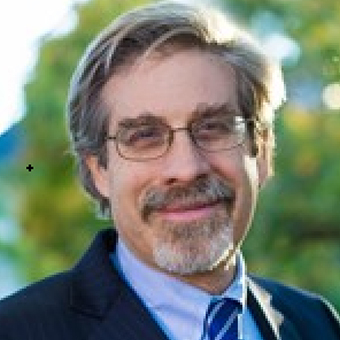 Michael Leshin focuses his practice on family law and mediation. He is a fellow of the Massachusetts chapter of the American Academy of Matrimonial Lawyers, and has served as the chair of the Family Law Section of the Boston Bar Association and as the president of the Massachusetts Council on Family Mediation, Inc. He has been certified as a divorce mediator by the Massachusetts Council on Family Mediation, Inc. He serves on the Board of Directors for Community Dispute Settlement Center, Inc. In 2013 he received MCFM’s John Adams Fiske Award for Excellence in mediation. Michael has lectured on tax, mediation, and family law issues for Massachusetts Continuing Legal Education, Inc., the Boston Bar Association, Mediation Works, Inc., Community Dispute Settlement Center, Suffolk University Law School and Boston College Law School. He is a graduate of Brandeis University (B.A. 1975), Boston University School of Law (J.D. 1982), and Harvard University (M.C.R.P. 1982). He is listed in “The Best Lawyers in America,” (Family Law, 2006-2017 and Family Law Mediation 2007-2017) and in Martindale-Hubbell ‘A-V’ (highest rating). Michael has been selected in the New England Super Lawyers(r) (2005 – 2017) for his work in family law. Michael has lectured on tax, mediation, and family law issues for Massachusetts Continuing Legal Education, Inc., the Boston Bar Association, Mediation Works, Inc. (MWI), Community Dispute Settlement Center, Suffolk University Law School and Boston College Law School. 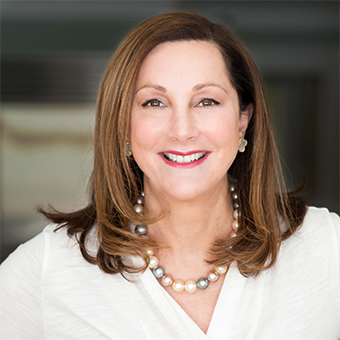 Vicki’s interest in “paying it forward” is evidenced in the publication of her scholarly articles and in her frequent guest lecturing on mediation, collaborative law, diversity, domestic violence and power imbalance issues in family law cases, post-divorce financial planning, and co-parenting topics for the ABA, MCLE, MCLC, MCFM and MWI. In addition, she has been a national guest speaker on podcasts/radio interviews. On the university level, she has been an adjunct professor teaching “Negotiation” at Northeastern University’s D’Amore-McKim School of Business for the past two years. Prior to that, she was an adjunct instructor in family law, ethics and mental health law at Boston University School of Social Work. Vicki is a founding member of the Academy of Professional Family Mediators and was recently asked to become a Board Member. Through MCFM, Vicki earned the distinction of being a Certified Family Mediator and currently serves as Vice-President. She is co-chair of the Joint Committee for MCFM-MCLC. For the past 2 years, Vicki has embarked on an international research venture to obtain 300 respondents to participate in her cutting-edge divorce research project entitled LETTERS TO EX-SPOUSES:…AND I JUST WANTED YOU TO KNOW. To date, she has 275 participants. One of her goals in pursing the research has been for individuals who have gone through the divorce process to be able to communicate, anonymously and first-hand, what they would like not only their ex-spouses to know – but also judges, attorneys, therapists, and clergy. As an added bonus, a child of divorce will be part of the panel presentation to underscore the important point that, inevitably, the lives of children are irrevocably altered. The cost of the training is $825 per person (or $775 if registered a month in advance of the program). Space is limited to 24 participants. Prepare mediators to work with divorcing couples in mediation – from case screening and intake through agreement writing. Increase mediators’ capacity to apply a negotiation framework to the mediation process and assist parties in their efforts to define issues, focus their interests, and generate options that secure sound resolutions within the context of divorce. Inform mediators about mediating divorce cases in the “shadow of the law” and how to help couples work through a variety of issues including: child support, alimony, division of assets/liabilities, custody, parenting time, insurance, tax filing, and more. Provide mediators with information about the effects of divorce on adults and children. Assist mediators in their efforts to recognize when assistance of other professionals may be helpful to the mediation process. Property distributions, valuation and division of assets, pensions, life insurance, health insurance and taxes. The nature and dynamics of conflict within families. Impact of divorce on children. Screening cases for domestic violence and substance abuse. Ethical duties and dilemmas facing divorce mediators. A review of principles, methods and styles of mediation. Defining issues, identifying interests, analyzing alternatives, transmitting information, communicating effectively, and generating options for resolution within the divorce context. The art of effective questioning, interactive listening & empathy. Dealing with power differentials, challenging personalities and challenges to mediator neutrality. Child support, parenting plans and alimony. Preparing Memoranda of Understanding and Separation Agreements. Growing a divorce mediation practice, securing professional liability insurance and opportunities in the field. Training: Mediators must have completed at least 30-hours of basic mediation training in accordance with G.L. Chapter 233 section 23C (Confidentiality Statute). Experience: Mediators must have completed at least five mediations (any case type). Mediation Manual and Resources: A complete guide to divorce mediation including post-training practice reference materials and a bibliography. Certificate of Completion: I n accordance withG.L. chapter 233 section 23C (Confidentiality Statute). This program also fulfills the continuing education requirement specified in Rule 8(c)(iii) of the Uniform Rules on Dispute Resolution. CEUs (Continuing Education Units) available: This program has been approved for 22.5 Category 1 Continuing Education Hours for relicensure with NASW and an application is pending for 24 Category 1 Continuing Education Hours with MMCEP for LMHCs. Ethics and Probate & Family Court Overview: In accordance with Rule 7(h), (i) and Rule 9 of the Massachusetts Supreme Judicial Court Uniform Rules on Dispute Resolution. Continuing Education: Participants may attend MWI Roundtable Events & Networking at no cost. Please call the MWI office at 617-895-4028 or send an email to mailbox@mwi.org for directions and more information about MWI’s divorce mediation training program. Mediators can pay to participate in a 4 month “mentoring program” where they will observe and co-mediate divorce and family cases with MWI Mentors in the Norfolk Probate and Family Court in Canton. Click here for detailed information and watch this video to learn more, https://youtu.be/PO8eDps4BnY. Observe and/or co-mediate with MWI’s Divorce Panel members any divorce mediation cases, barring any conflict of interest, that the participant brings to MWI directly or via a referral. After the participant refers the case to MWI, MWI’s Director of Mediation Services will handle all administrative aspects of the case including: client intake, screening, dissemination of information, fee discussions, assignment of co-mediators, office space, liability insurance, and scheduling. You will then co-mediate, for pay, and meet with your co-mediator/mentor before and after the session to plan and debrief. For more information about MWI’s Divorce Mediation Training and/or Post-Training Divorce Mediation options, contact Josh Hoch, Director of Mediation Services at 617-895-4028.